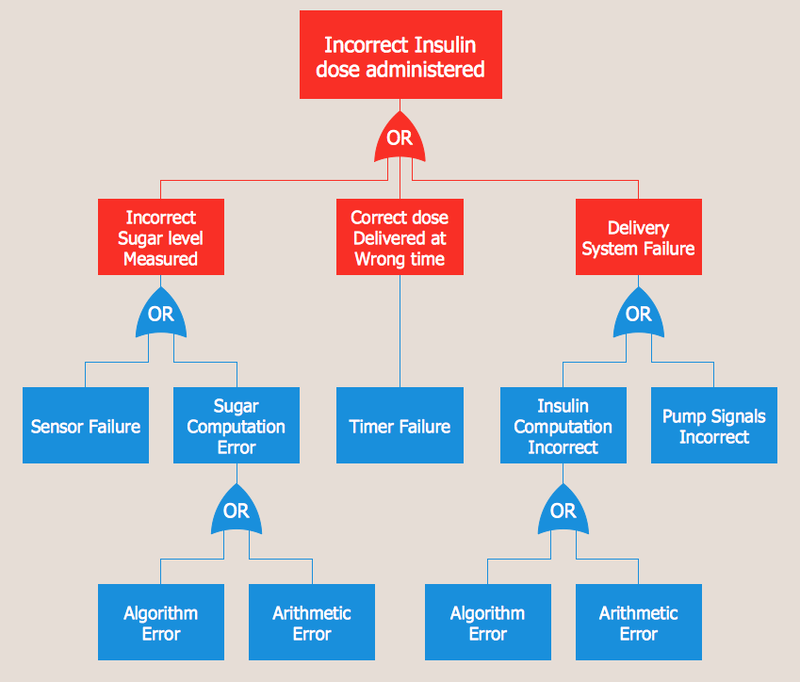 Designing the Fault Tree Analysis (FTA) Diagrams first of all it is important to have a powerful software. ConceptDraw DIAGRAM diagramming and vector drawing software extended with Fault Tree Analysis Diagrams Solution from the Industrial Engineering Area is exactly what you need. It is also convenient to have professional looking Fault Tree Analysis example before the eyes, and it is excellent that this solution includes large collection of such examples. Fault Tree Analysis Diagrams Solution is rich for predesigned samples, templates, and ready-to-use vector elements developed and grouped in Fault Tree Analysis Diagram library. Variety of samples is available from ConceptDraw STORE. Any Fault Tree Analysis example or template included in Fault Tree Analysis Diagrams Solution can be used as the base for quickly design your own FTA Diagram. 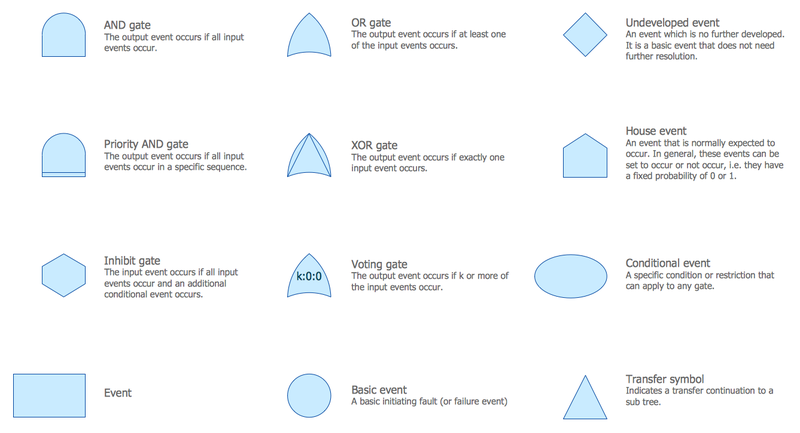 The Fault Tree Analysis example and template you see on this page were created in ConceptDraw DIAGRAM using the Fault Tree Analysis Diagrams Solution. 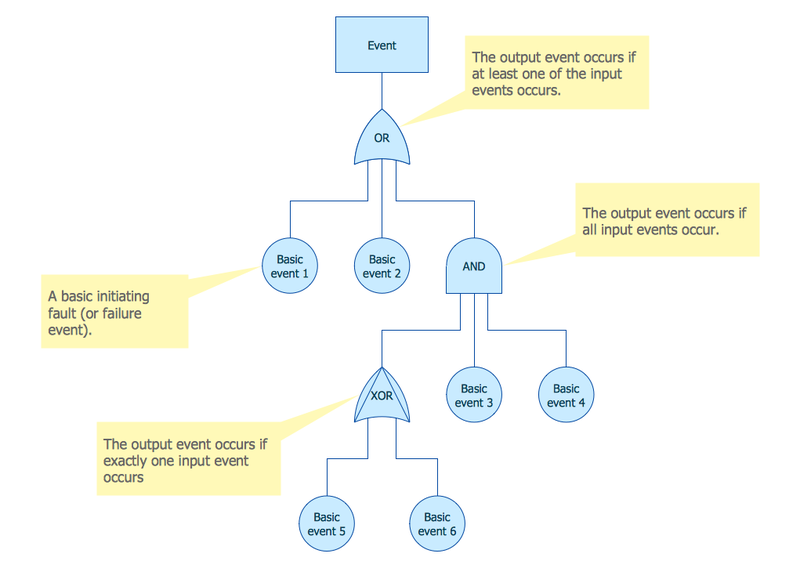 You can find them in Fault Tree Analysis Diagrams section of ConceptDraw STORE. Use the Fault Tree Analysis Diagrams Solution for ConceptDraw DIAGRAM software to create your own professional looking Fault Tree Analysis Diagrams quick, easy and effective. All source documents are vector graphic documents. They are available for reviewing, modifying, or converting to a variety of formats (PDF file, MS PowerPoint, MS Visio, and many other graphic formats) from the ConceptDraw STORE. The Fault Tree Analysis Diagrams Solution is available for all ConceptDraw DIAGRAM or later users.